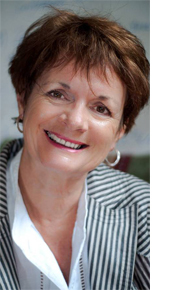 Director Moira McDade has led her own management and organisational consultancies since 1993. Previously she was well known for her innovative work in the human services sector. As a highly trained facilitator, trainer, coach and consultant, Moira works in organisations and the community to help to develop vision, strategy and implementation plans that focus on performance. She is passionate about ensuring that an organisations' people and all key stakeholders understand their role and what is required to contribution to these goals. Key to Moira's approach is sharing responsibility for the right development and robust feedback to enable performance and professional growth. Moira has a great ability to identify needs and build authentic relationships with her clients. She has a creative approach to process design that is strongly grounded in theory, yet is pragmatic and results oriented for the benefit of stakeholders. The Generation Business builds partnerships with highly qualified professionals, selected to add maximum value for our clients. Working collaboratively with a group of highly skilled associates extends and complements our services as appropriate. ■ focus on aligning values and culture with strategic intent.